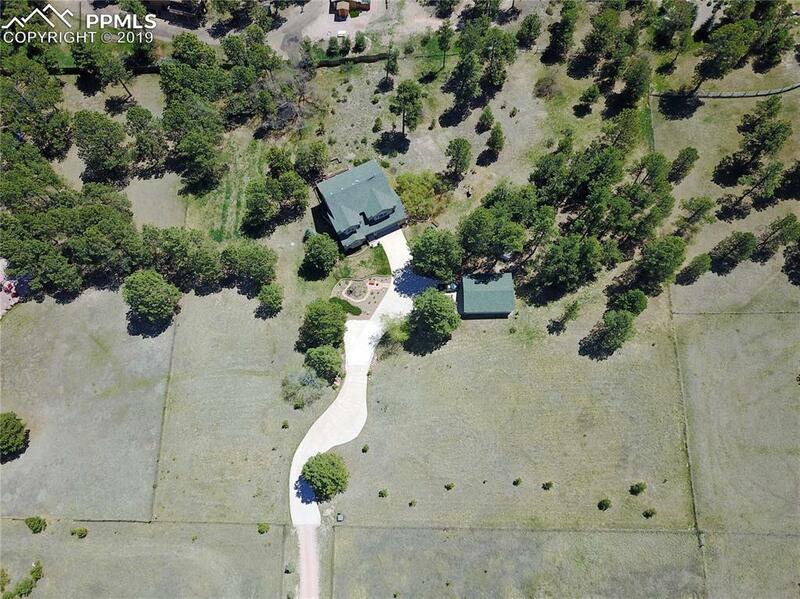 Gorgeous custom family home on 2.5 acres in serene Black Forest location, yet only minutes away from schools, city services and shopping! 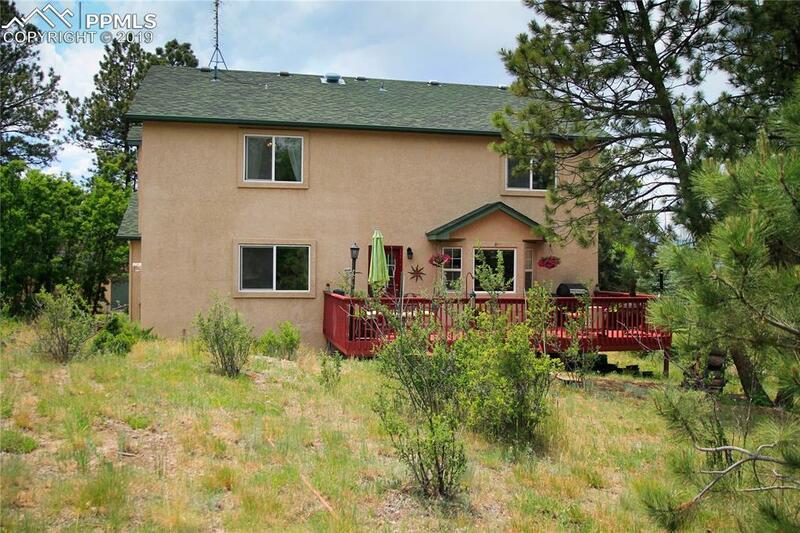 Peaceful treed lot w/ mtn views & private driveway entry. 6 large bedrooms, several with walk-in closets and theater could become a 7th bedroom if needed! Granite countertops, large island, mosaic tile back splash, GE Profile double oven unit and Kitchen Aid 5-burner gas range all found in the bright and beautiful chef's kitchen! Extensive new carpet and flooring. This home includes a whole-house Bang and Olufsen surround sound system. Spacious master bedroom with vaulted ceilings, large windows and window seat, with attached 5-piece bathroom featuring a jetted soaker tub. Serene and spa-like basement bathroom with radiant heat slate tile flooring, steam shower, double shower heads, and river rock details. Home theater room with full surround sound system and TV (included), completed with wet bar and refrigerator to hold all of the movie night snacks! 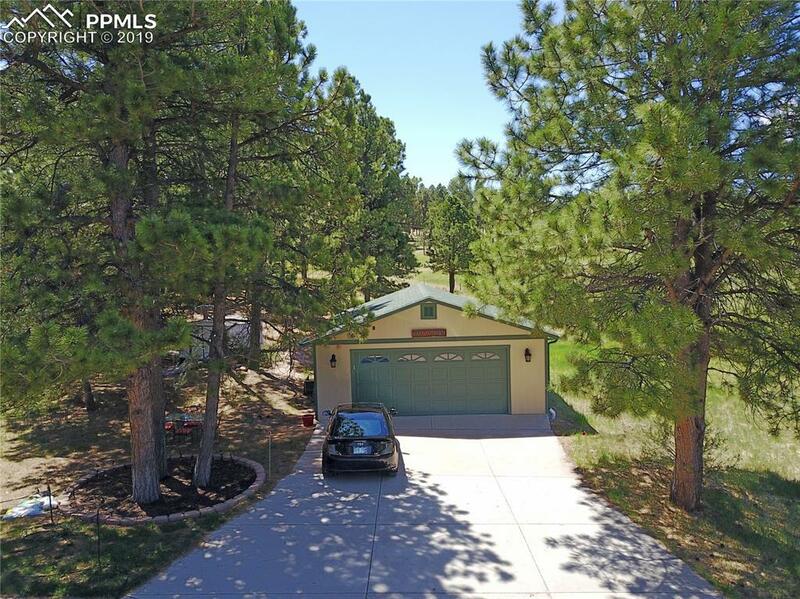 Plenty of space for vehicles and storage with oversized 2 car attached garage, and additional oversized 2 car detached garage with insulation and heater just across the driveway. Cozy gas fireplace with granite surround (necessary for Colorado winters!) in family room off of kitchen. Many unique features such as hot water radiant heat throughout the home, central vacuum system, and many more! A beautiful and welcoming family home nestled in the trees in the heart of Black Forest, while still being only moments away from the city. 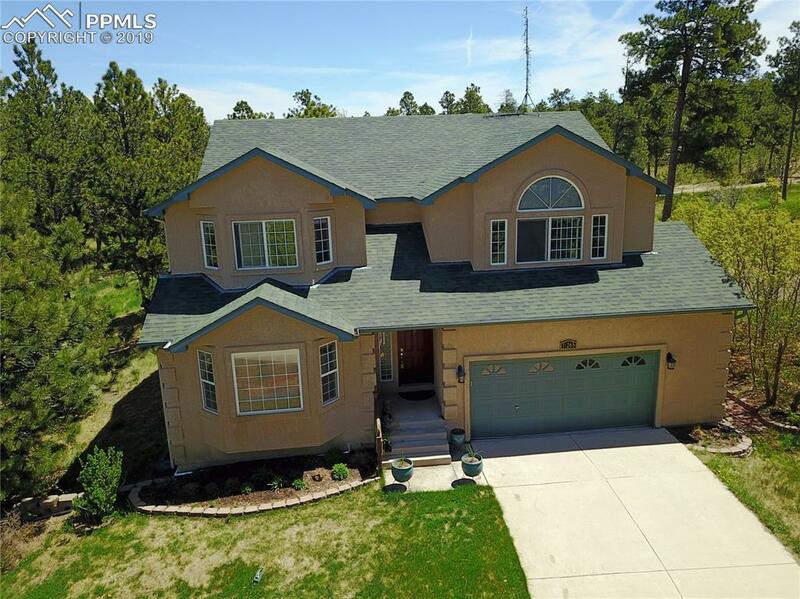 Ideal access to Powers Blvd., and a short drive to I-25. Truly a must-see! Listing provided courtesy of The Rawhide Company.